I was born in New York but moved to Tucson, Arizona at a young age and consider myself a native. I enjoy watching sports; especially football. I also like watching movies; mostly comedies and anything with Adam Sandler. Some weekends you can find me on the golf course with my buddies or on the driving range teaching my two oldest children, Addy and Aven the basics of the game. Most of all, I love spending time with my wonderful family. 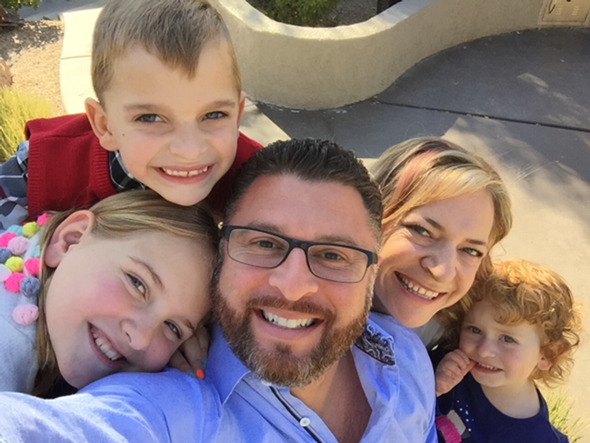 My wife, Holly and I have been married for 11 years and we have three amazing children, Adelyn (Addy) (10), Aven (8), and Ayla (3). Our family is completed by our two cats, Truman and Murray and puppy, Mavis.